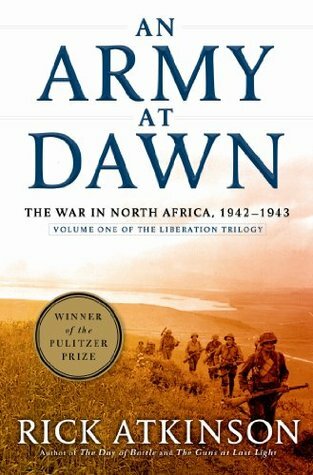 In An Army at Dawn, Rick Atkinson offers a comprehensive telling of the 1942 invasion of North Africa by American and Allied forces. The reader bears witness to every phase of what happened, from the very top decision makers, down through the ranks of officers, and finally to the tip of the spear. Even though you know the end of the story, Atkinson is able to put you in the moment, wondering, alongside the men in command, whether their forces will be able to get the job done. The book covers a fascinating moment in the history of WW2: The before, during, and after of the first major clash between American and German ground forces. We all know history of what happened later on, the Allies rolled over Europe and into Germany, but what happened before all of that? This book covers a time when the American army was untested and hardly respected. Coming off of years spent with almost no military at all, they were now entering the single most violent and massive conflict in human history. It was little wonder that enemies and allies alike had doubts. Atkinson has crafted my favorite kind of military history here. We see things from every perspective imaginable in the conflict. The stories of numerous individual soldiers are told in gripping detail, while their officers struggle with the burdens of command, and Eisenhower, overlooking it all, is forced to spend most of his time playing politics. At every level, Atkinson is both informative, and a good story teller. Although the book mostly focuses on the American army, a decent number of pages are devoted to their allies and enemies, so you get a very complete picture of things. This book actually pushed me over the edge into buying the wonderful game Command Ops, as I finished reading it with a strong desire to capture the feeling of commanding a large ground force in battle, giving orders and then watching them filter down the chain of command. An Army at Dawn is the first in a trilogy which goes on to cover the war in Italy and Western Europe in the same style. While I have not read the other two books yet, they are high on my list. If you are at all interested in the topic, this book will have you turning pages deep into the night. It's a really good book about the western front, the intro to the Liberation Trilogy, I have had read it in spanish first, later on english and finally in audiobook, and everytime make have the same urge to play somethinh like Command Ops, where more than kill of be killed kind of bussiness, the war is showed as a moving machine with to many pieces and the concept of time and timing is as important as a Panzer division. Good review, nice to find another player of CO.